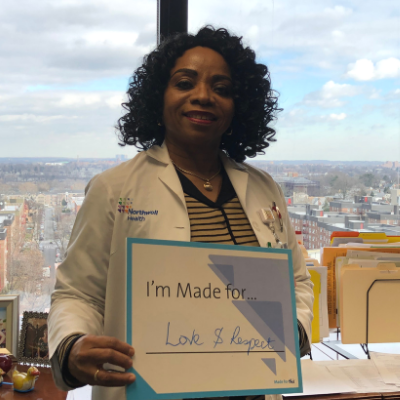 Located in Queens, LIJ Forest Hills Hospital offers a unique place to work within Northwell Health. This fast-paced hospital is deeply connected with its community. 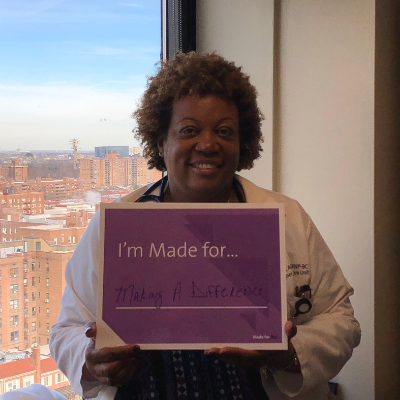 With exciting growth in clinical and non-clinical areas and a passionate team serving our diverse community, there’s never been a better time to work there. 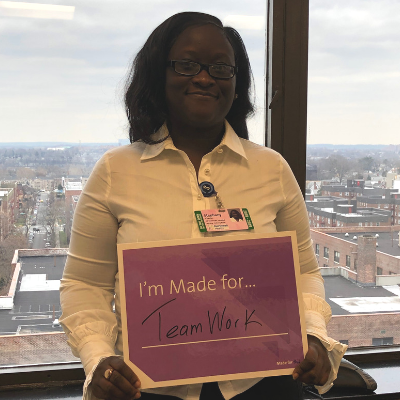 We talked to the close-knit team to hear why they love working at LIJ Forest Hills and what makes them Made for Northwell Health. "I‘m Made for making a difference. It’s very rewarding to me to help someone and see the positive changes in their lives." "I‘m Made for teamwork. 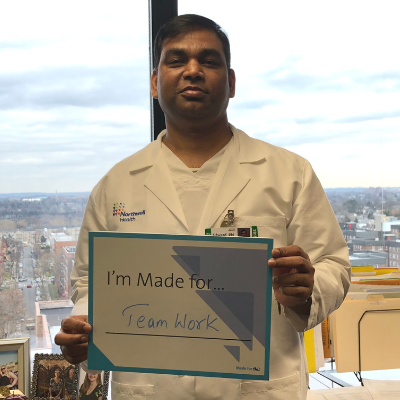 Any department or any position that needs my assistance, I don’t mind going out and helping because we are a team here at Northwell." 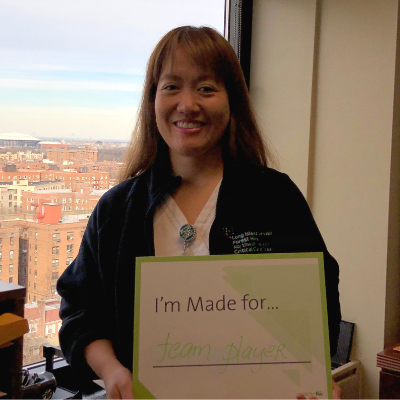 "I‘m Made for laughs because I like to see my patients smile even when they’re in tough situations." 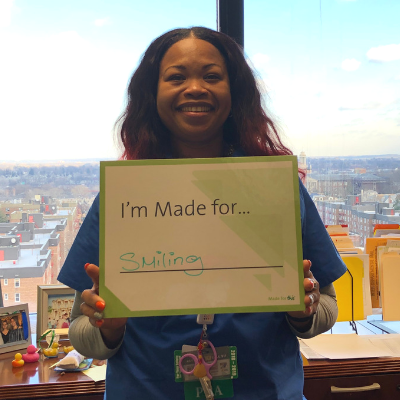 "I‘m Made for smiling because I want to ensure that when the patient comes in, they’re always greeted with a smile. A smile goes a long way. It gives patients hope and comfort." "I’m Made for helping people. I love for patients to be comfortable and to learn from me and the other staff on how to care for their new babies." 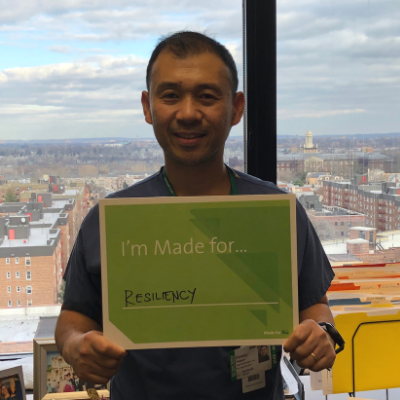 "I‘m Made for resiliency. Being in the operating room is an adventure every day. It’s a stressful place to be but at the same time, it‘s rewarding. You’re able to help the surgeon accomplish their mission. "I’m Made for being a team player. I like to boost the morale of my coworkers and push them to the max of their capabilities." 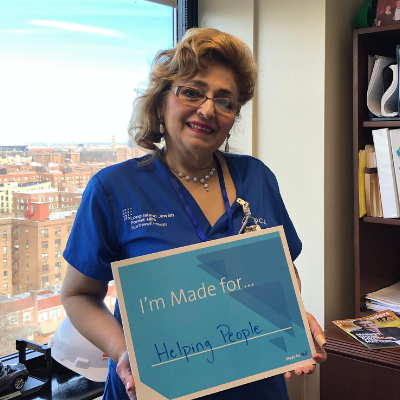 "I’m Made for helping people at Forest Hills Hospital." 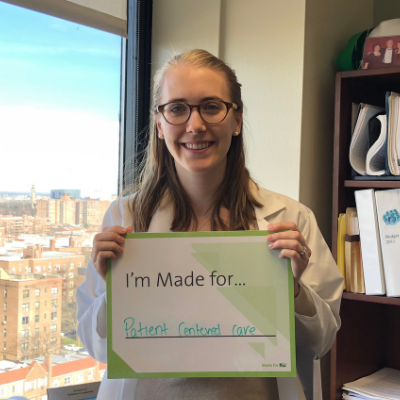 "I‘m Made for patient centered care. Every patient is unique and if you don’t look at patients as individuals, you won’t be able to do the best job you can in treating the patient as a whole." "I‘m Made for helping. Helping is so much more than it sounds - it’s a skill. It’s seeing the big picture and filling in where needed.You have to know when to help, where to help, and how to help." 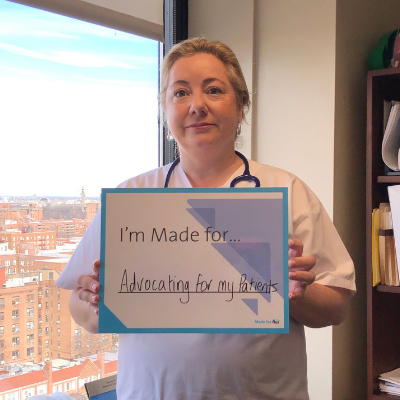 "I’m Made for advocating for my patients. A lot of the patients we see in New York might not have family with them and need someone to advocate for them." "I‘m Made for preparing new moms. 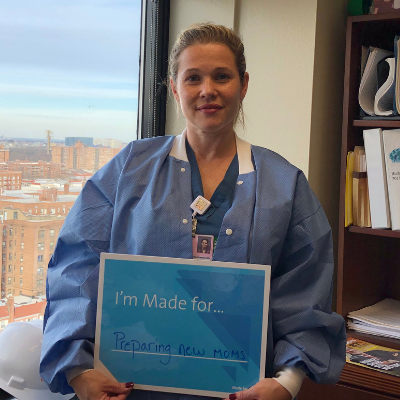 My job is to welcome mom into Labor and Delivery and explain to her all of the benefits of the care she’s going to receive while she’s in her labor process." "I’m Made for communication. 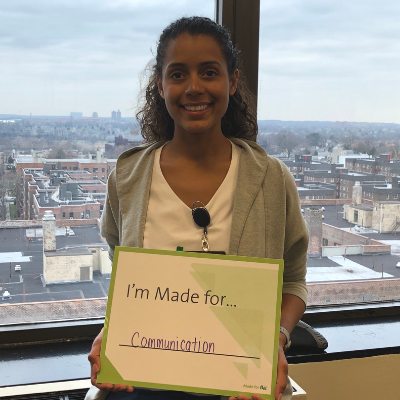 Communication is one of the most important aspects of working at a hospital. "I‘m Made for staff development. 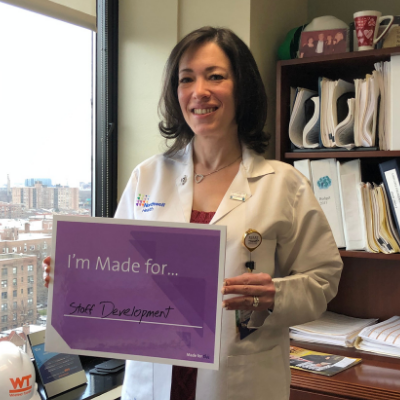 Staff development is important to me because it’s essential for every nurse to do what they’re best at and what they love the most. 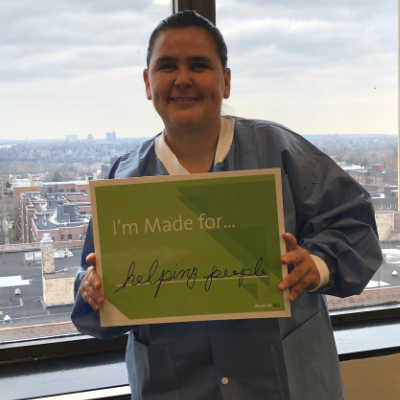 I get to know all of my nurses and find out what their goals are because I love that collaboration in getting them to where they want and need to go." 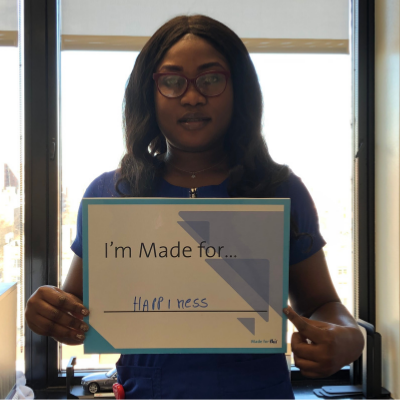 "I’m Made for happiness. Whenever I enter a room, I make sure the patient has a smile on their face." 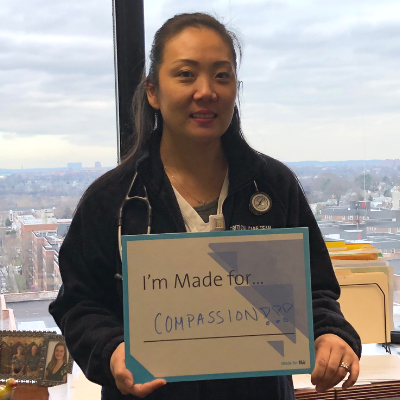 "I‘m Made for compassion. My compassion makes me able to put myself in the shoes of my patients and their family’s. 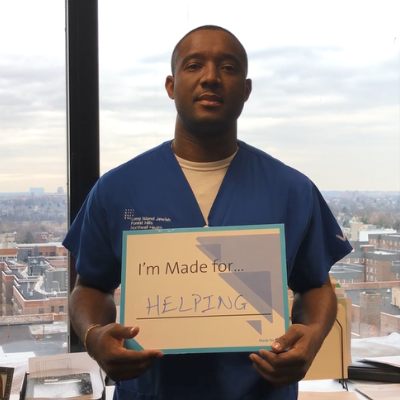 This truly lets me provide the best care I can." "I’m Made for teamwork. I want to ensure all my staff work as a team in taking care of patients to give the best quality care." "I‘m Made for love and respect. 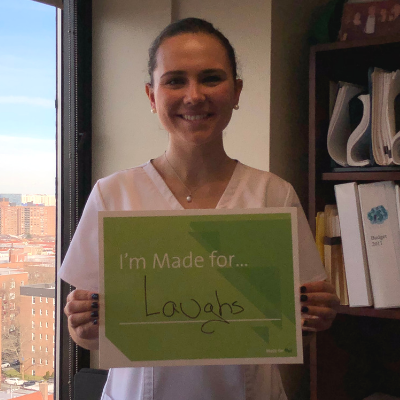 I love people and respect people’s opinions and that is what LIJ Forest Hills Hospital is all about."